The Santa Rosa Junior College (SRJC) Friends of Petaluma Campus Trust is presenting the fourth annual Building Community Breakfast on Thursday, June 4 from 7:30 to 9:00 a.m. Business, education, nonprofit and community leaders are expected to attend. The breakfast takes place in SRJC Petaluma’s Physical Fitness Center located at 680 Sonoma Mountain Parkway. 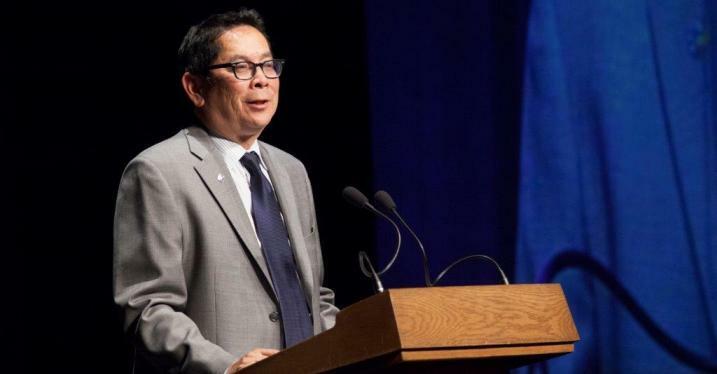 SRJC Superintendent/President Dr. Frank Chong will deliver opening remarks, providing the Petaluma angle on his recent President’s Address to the Community. Dr. Jane Saldaña-Talley, Vice President of the Petaluma campus, will present the “State of The Campus” address including an update on current activities, new and future plans for SRJC Petaluma. Bill White of Basin Street Properties is the featured speaker for the morning. The morning will also include student speakers reflecting on their experience at SRJC Petaluma. Earth and Space Sciences faculty member Dr. David Kratzmann will discuss recent projects including construction of a geologic boulder field across campus and two gardens. The garden project is a partnership with Daily Acts and the City of Petaluma to create a Permaculture/Living Learning Lab Demonstration Garden designed by SRJC Ornamental Horticulture students to reduce water use and serve as a demonstration site for community education. The second garden project is a sustainable, organic, student-run teaching garden developed in partnership with Petaluma-based Friedman’s Home Improvement and a multi-disciplinary collaborative of students, faculty, and staff. Tickets are $40 per person and table sponsorships are available. Registration is available at www.santarosa.edu/foundation. Under Register Now, click on “4th Annual Petaluma Campus Building Community Breakfast.” Check-in begins at 7:00 a.m. Parking is free. The event is an opportunity for attendees to explore the impact of the Petaluma campus on the surrounding community. It also provides the chance for those unfamiliar with the campus to connect in a personal and welcoming manner. Tours of the campus will be provided upon request.